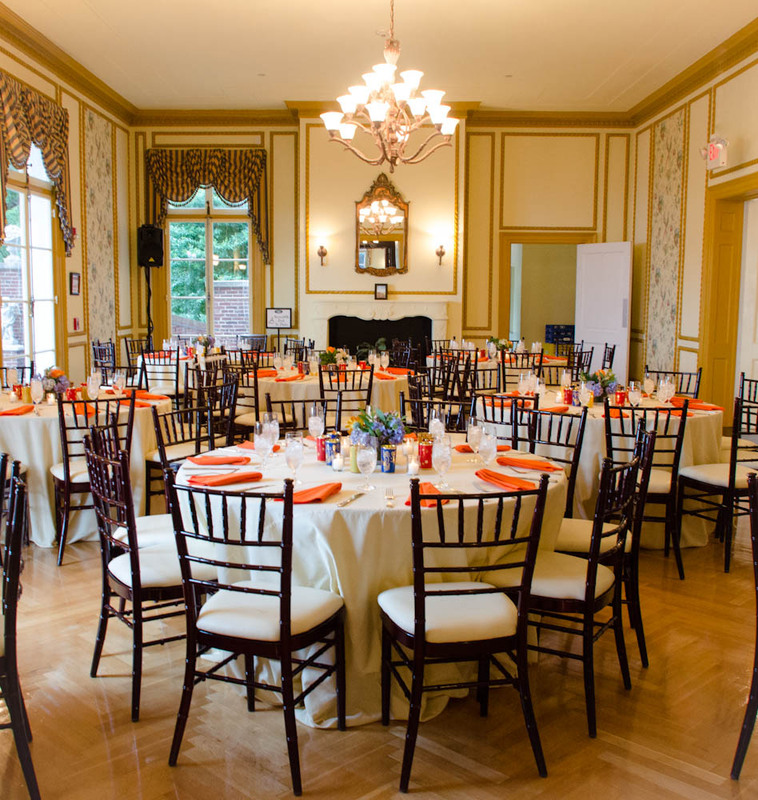 This past weekend we had another happy couple tie the knot in the heat of summer. 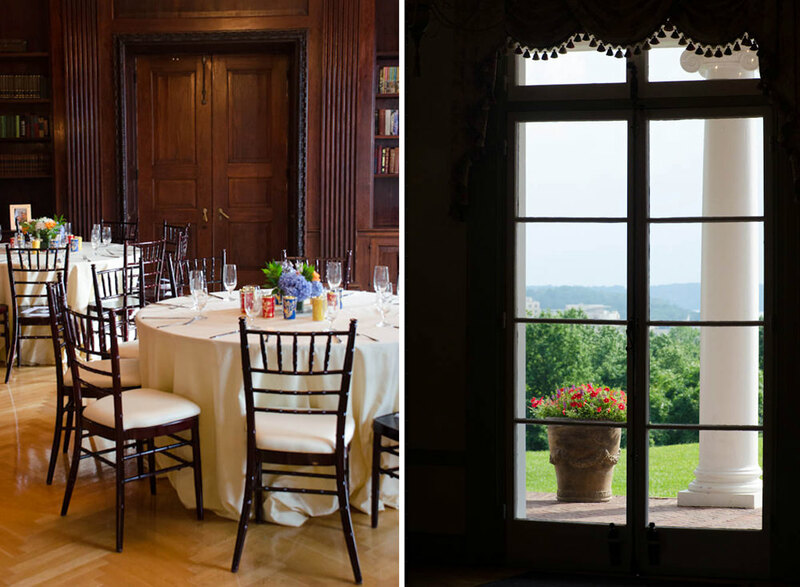 This fantastic wedding and reception at Oxon Hill Manor had a perfect mixture of traditional details, cultural flare and a formal backdrop. 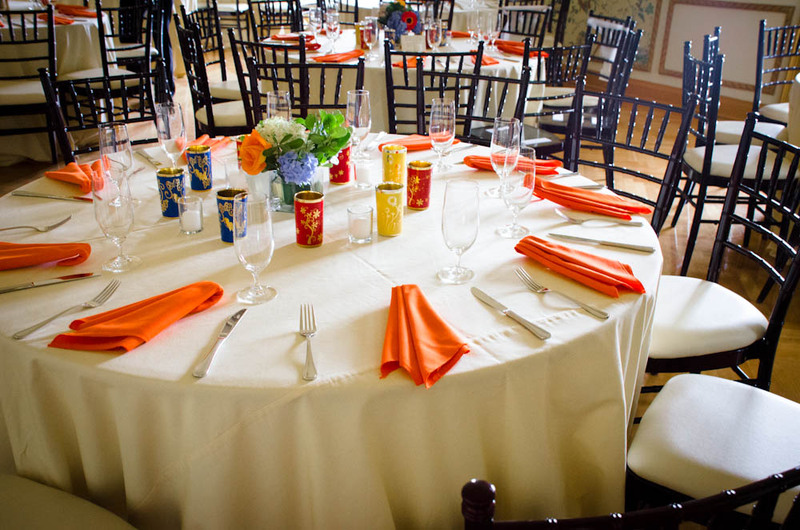 Orange napkins and signature details really made the tables pop, while light blue hydrangeas softened the scene. 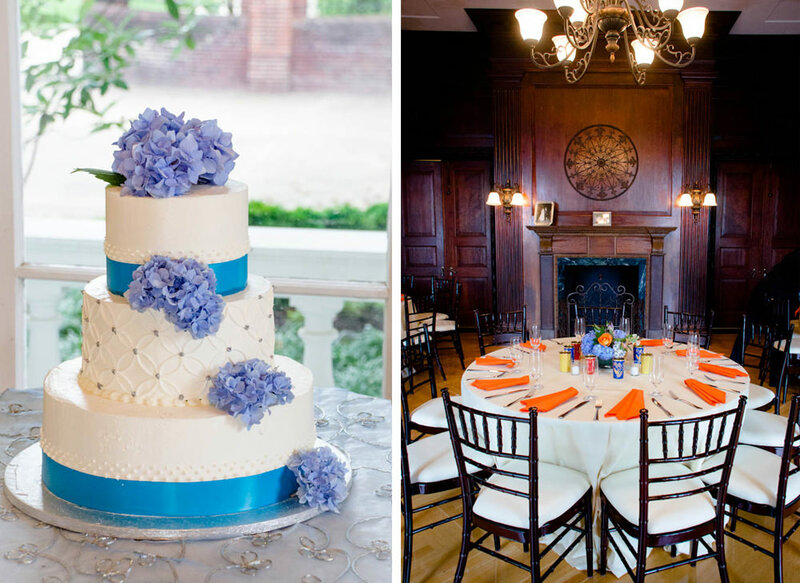 The beautiful blue and white wedding cake was a wonderful accent to the evening. 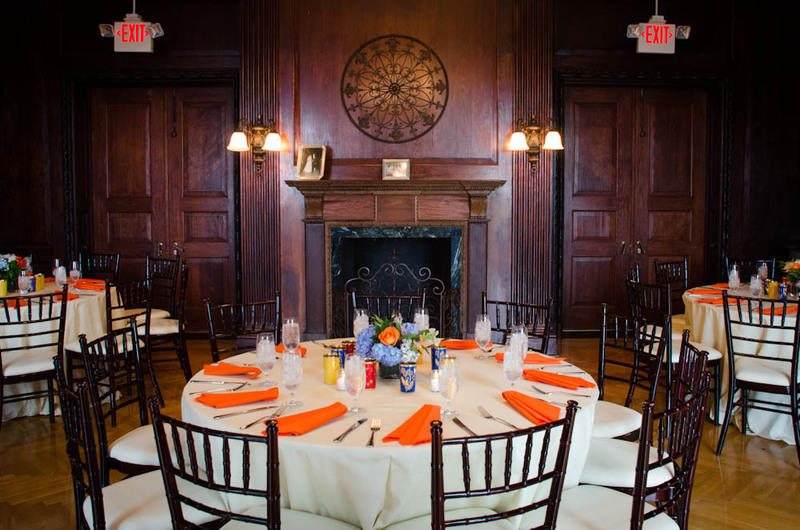 Antique finishes and elaborate wood details in the manor really helped to pull the whole event together for a wonderful formal wedding and reception.